The Cairngorms National Park Local Development Plan (LDP) identifies sites for future development. 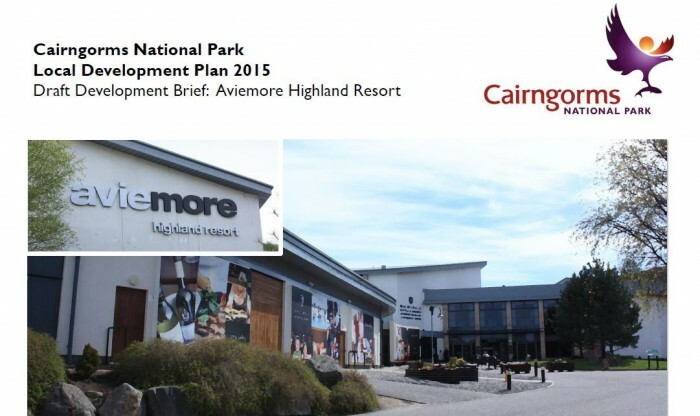 These include a number of sites which had planning permission at the time of plan preparation/adoption, including the Aviemore Highland Resort (AHR). AHR is a key site within Aviemore and has significant development potential. Whilst part of the site has an extant planning permission for housing development, outline planning permission which was granted in 2011 for the wider site has now lapsed. Therefore, the aim of this Draft Development Brief is to guide the development of the wider AHR by providing a land use and development framework that can inform the preparation and consideration of future planning applications. The Development Brief does not aim to set out every detail of what should happen on the site but rather to identify the broader development objectives and design principles for the site and give more certainty to both local residents/the local community and the site developers. We want to hear what you think about the Development Brief and if you agree or disagree with the principles that it sets out. If you’d like to talk to us, please come and see us on the Village Green in Aviemore on 17th or 22nd August (between 2.30 and 7.30pm).